Luckily, I’ve got lots of gifting ideas! Today’s guide is inspired by my Mom, who surprised me by asking for a winter hat like one I’ve owned for years. In past years I’ve surprised my best friend with a beautiful cashmere hat, scarf and gloves set from J. Crew, which was a delight to give, but this gift guide is targeted towards more friendly price points meant to fill up the space under the tree. In the past I myself have spent $$ (and sometimes $$$!) on hats and gloves. No more though — so many of the luxury suppliers now sell direct to customers via Amazon, at prices that are usually less than $20. Same quality, much nicer price! Without further ado, here is today’s gift guide. 1 | Slouchy Beanie ($10, also in image topping post) — Like most of the products in this guide, this hat comes in a multitude of colors! I own it myself in two colors and adore it. Unisex, it looks great on both men and women. The inside fleece keeps my head so wonderfully warm! 2 | Womens Winter Warm Texting Gloves ($9) — Who doesn’t love good a snowflake design? Another item I own in multiple colors, these gloves are easily recognized by my iPhone and don’t lose warmth in my fingertips. They’re so nice, I actually wear them biking too. 3 | Parent-Child Hat Set ($11) — How adorable is this idea? One hat in this set is adult-sized, and the other fits children up to 3 years old. (The reviews mention that the smaller hat is stretchy.) A fantastic gift idea for new parents or families you don’t know too, too well. There’s also a one-pom variant of this hat set in #19. 4 | Suede Thinsulate Convertible Mittens ($17) — Although I want my fingers covered as much as possible, sometimes I need them out for fingerprint scans on my phone, laptop or secure work spaces. These mittens make that possible via their convertible shape. 5 | Cable Stripe Mittens ($14) — These have ski slope or chalet written all over them to me. Ideal for s’more assembly or snowball assembly! 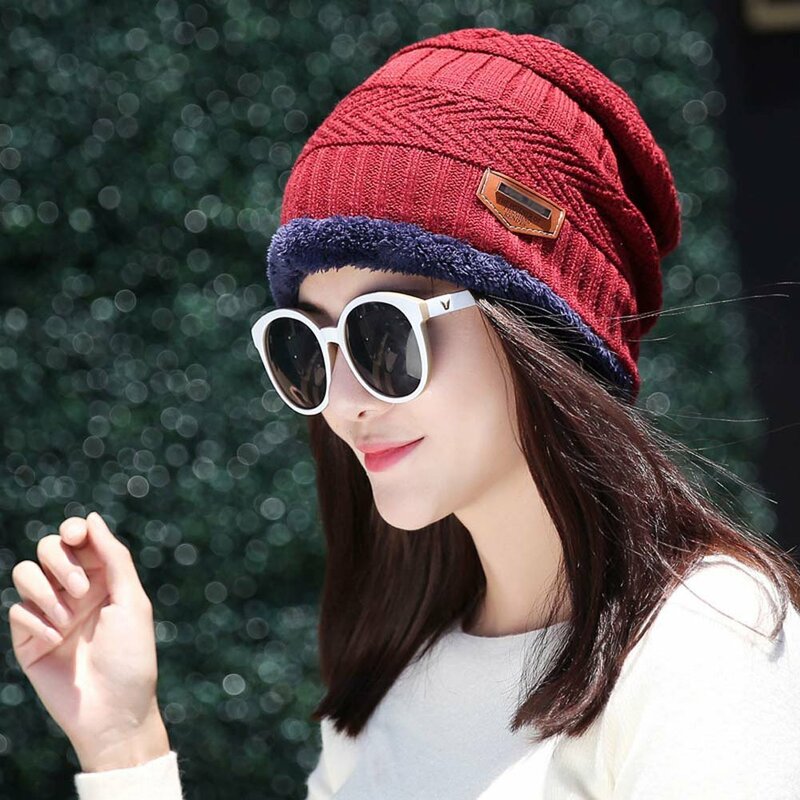 6 | Womens Slouchy Winter Bobble Hat ($17) — Another item in my collection of winter hats, this pom pom hat has a faux fur removable topper. When it arrives, the pom comes in a separate bag and needs to be floofed a bit before it resembles the size of the pom in the product image. I can’t believe I bought a similar hat two years ago for over $100 that didn’t even last one season. This hat on the other hand still looks fresh heading into its second winter in my closet. 7 | Winter Beanie With Fleece Lining ($14) — Perfect for places where it gets super cold and some extra warmth is needed. Now that I own a fleece-lined hat, I can’t imagine going back to fleeceless days! 8 | Plizza Winter Touchscreen Gloves ($9) — These come in both knit and anti-skid (shown) prints. The anti-skid colors are superb for winter bike commuting or long road rides, as they keep my fingertips warm. My boyfriend is getting two pairs of these for Christmas. 9 | Women’s Winter Beanie ($10) — At the rate I lose beanies, I can never have too many of them! Personally I’m a big fan of this cuffed shape which fits my relatively small head better than oversized caps. A similar hat is coming in #11. 10 | Women’s Blizzard Pass Beanie ($30) — By far the most expensive cap on this list, I mention it only because I have one that’s 10 years old and still going strong! Well-made and can be worn either straight on the head or slouchy style. 11 | Women’s Warm Faux Fur Pom Pom Beanie ($12) — Similar to #9 but in a diamond-stitch shape, this beanie also comes in a vibrant red (shown). 12 | Warm Chunky Thick Skull Cap ($10) — Speaking of red, how cute is this skull cap? It’s also in my closet (in beige) to be worn with my leopard print peacoat, along with the gloves in #14. 13 | Touch Screen Gloves ($10) — Available in lots of colors and different wrist accents, from bows to leather cuffs to pom poms, these gloves are sure to bring a smile to anyone that receives them. 14 | Texting Roomy Gloves ($15) — These have mixed reviews on Amazon’s site, and I believe it’s because they come in so many different colors and knits. I own the ‘A Confetti Oatmeal Design’ (shown) and they’ve held up great through one winter. They work on my phone. I’d stick to the thicker knits. 15 | Super Warm Cozy Wool Gloves ($15) — These are in fact super warm and cozy! On those coldest of winter days and nights, these are the gloves I reach for. 16 | Winter Touch Screen Gloves ($10) — These are very popular among friends’ daughters, perhaps because of the brightly-colored smartphone fingertips. Very, very soft inside. 17 | Anti-slip Touch Screen Gloves ($10) — Since we don’t use our Jeep on a day-to-day basis, I always forget about how important non-slip gloves are while driving. These are the pair we leave in the car for cold mornings when the steering wheel is freezing to the touch. 18 | 100% Wool Slouchy Cloche ($11) — When you want to look fashionable yet still keep your head warm in the winter, reach for this hat, which comes in several beautiful and classic colors. 19 | Parent-Child Hat Set ($11) — Just like the set in #3, this item comes with both a hat for Mom and for Kiddo. This set has double poms, while in #3 it’s a single pom on top. 20 | Ladies Knitted Mittens ($5) — For a pretty unbeatable price, these mittens are soft, warm and have a cute design. Shown in grey, but I’m actually partial to the beige and white colorways. 21 | Slouchy Thick Winter Beanie ($11) — Another great option because of all the colors available, this hat should please even the most hard-to-shop-for person. 22 | Cable Knit 3 Finger Touchscreen Sensitive Winter Gloves ($15) — Classic design with a modern upgrade in the touchscreen-sensitive fingertips. These are sure to go with nearly any hat or gloves. 23 | Cuff Winter Gloves ($10) — Elastic enough to fit men or women, these gloves have a ridiculously thick liner that will make your hands look puffy…yet keep them very warm. Perfect for snow shoveling! 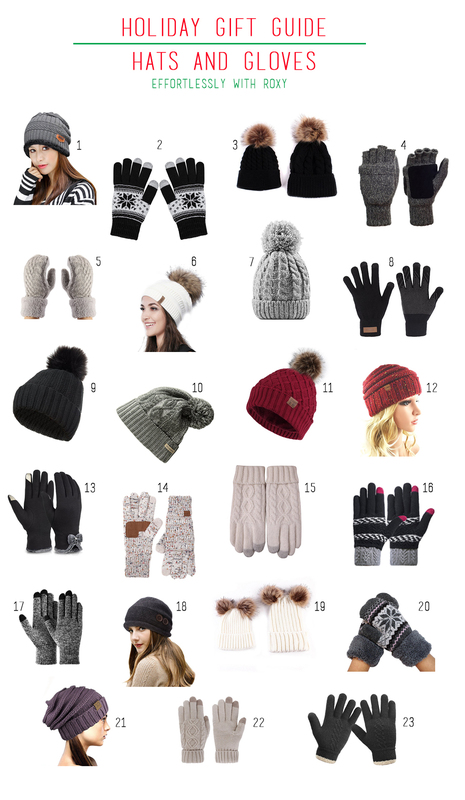 Do you have favorite winter hats or gloves brands? Are these on your list this year? Previous Post Three Cyber Monday Steals and Whadja Get? 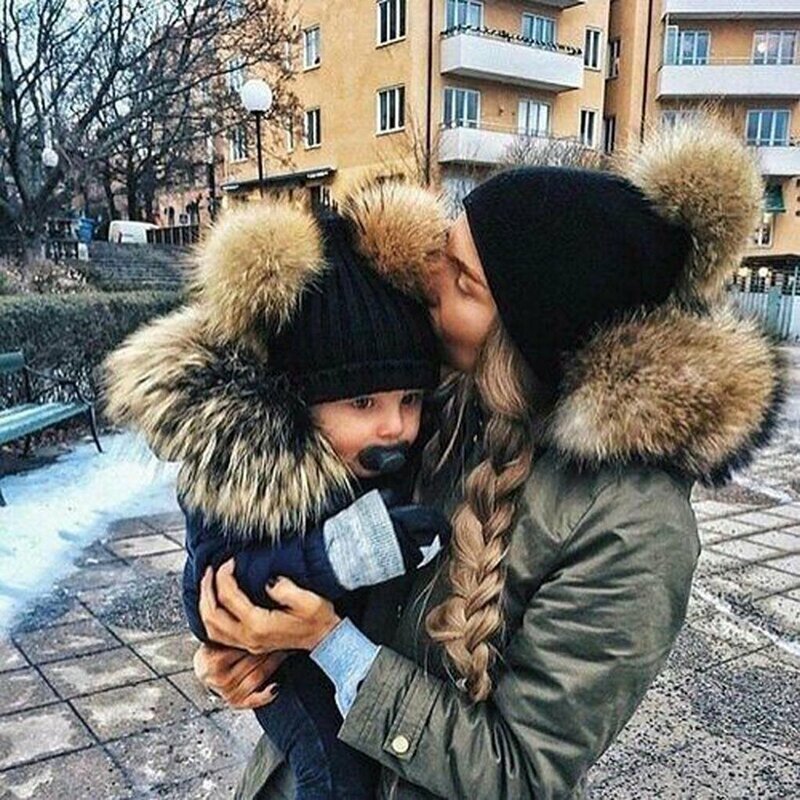 I love the beanie at the top of this post, and the "mommy and me" sets – what a cute idea! Last year I bought several hat/scarf and hat/mittens matching sets during Anthro's post-Christmas sales. I got them for $9.99 or $14.99 each, plus whatever % off they were offering at the time! Looking forward to giving them as gifts this year. Also, just wanted to say how much I appreciate the budget-friendly price points featured in this post. I love giving as many gifts to as many special people as possible during the holidays, but I'm not made of $$$, and one thing I really love about this blog is that you feature a great variety of splurges and price-friendly items. Delighted to hear that! I try to keep things relatively in balance. Using post-Christmas sales for next year's gift shopping is a fantastic idea too! Thanks as I see such cute things around town but do not know the brand.